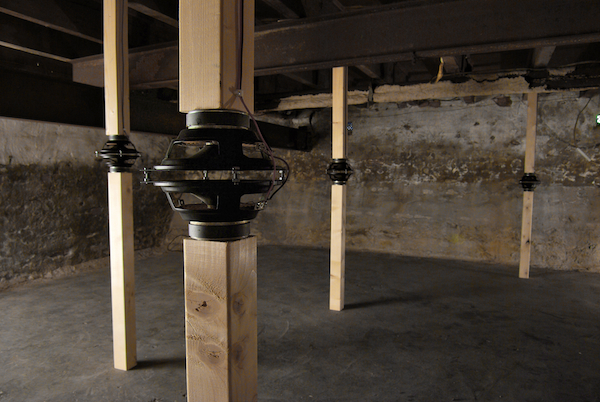 The installation was created for the exhibition Eavesdropping in the former embassy of the Congo, Villakabila, in The Hague. The intervention focuses on the dialectic between inside and outside, propping up the wooden ceiling of the basement of the abandoned building in a vain attempt to prevent its collapse, but also to defend a inner space from the pressure of the outside world on the statically unstable building. 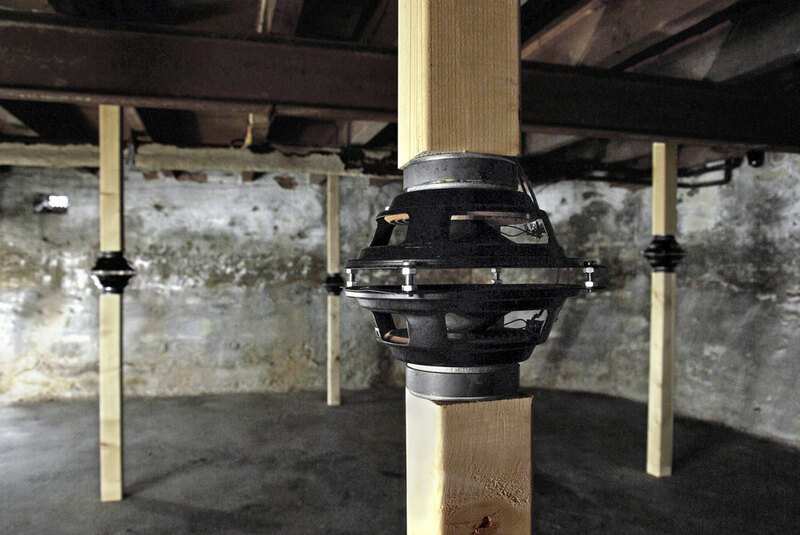 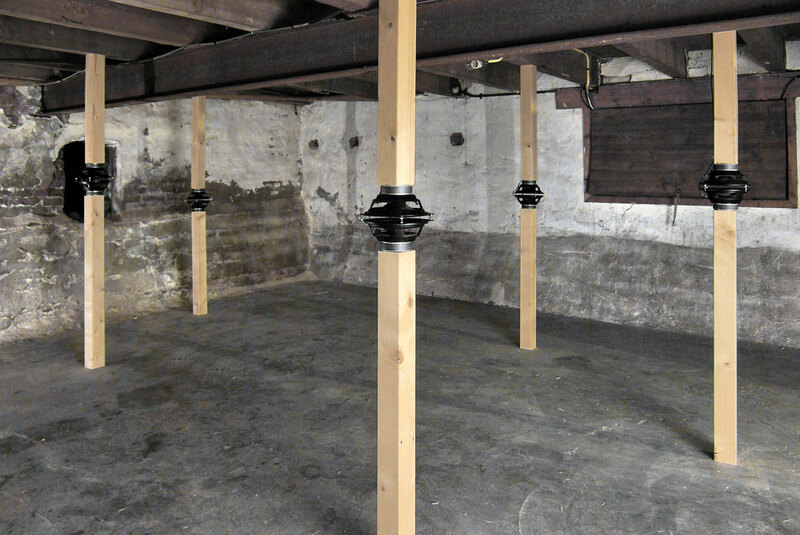 The speakers were used to thicken and support the beams, they were diffusing the sound of the creaks of the ceiling to which they were leaning.